I could sit here and say, “better late than never” when it comes to announcing this class, but I won’t. I’ve just slowly grabbed info and thoughts on these guys as it’s come available. I’ve waited on doing the breakdown until I got the official list from Auburn. Well, today, that list is here and it’s a solid class. One thing stands out and it’s a big sign for Pawlowski and the things he has planned for the future: this is a class loaded with Freshman. Simply put, Pawlowski is planning for the future and developing talent rather than just “renting” guys for one or two years. Of the 14 members of this class, only 2 are juniors. Meaning that, unless they get plucked by the draft, the remainder of these guys are here for the long haul. 3 Solid Years at the very least for Auburn. Let’s break them down. "They had a closer who was picked in the (MLB) draft, so they were looking for a closer," said Blinka. "The fact that they came to Texas to get me was exciting. My goal is to be their late-inning guy. "It's a great opportunity and I'm excited. They're a good program." "The campus is very nice. It has an East Texas feel," said Blinka. "The campus had a great feel and the facilities were right in the middle of campus." The best thing you can say about Blinka is that he’s a battler and doesn’t shy away from pressure. He relishes the closer role and feels most comfortable in the late innings. One of the names of MLB draft potential, Bush keeps a steady Huntsville pipeline open. He’ll either battle Blinka for the closer’s role immediately or settle into middle relief until his time comes. For any Huntsville area Auburn fans, I’d recommend checking Bush out. He plans on moving out of the pen and into the rotation for Grissom this season. If he flourishes in that role, and breaks out like he did his Junior year. Then Auburn may scrap plans for him as closer and work him into the midweek rotation. Last year for Grissom he provided a solid 1-2 punch for Grissom and current Auburn Tiger Dillon Ortman. He sported a 1.29 ERA with 9 saves. The killer stat line that probably has scouts drooling? 38 innings, 60 Ks and only 10 walks. Those are some ridiculous numbers. He also has some solid film from the Baseball Factory. "Grant is a left-handed pitcher who has great arm strength and deception. 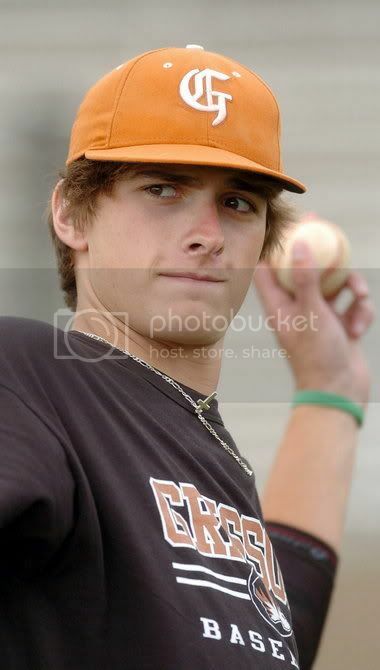 He has pitched in pressure situations at the highest level of high school baseball in Alabama. 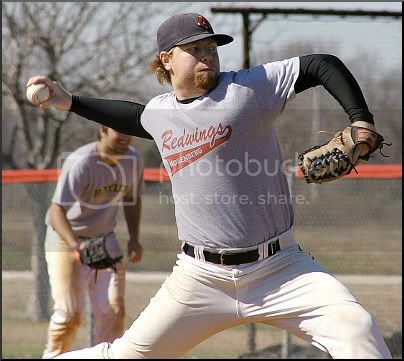 Our staff believes that he will continue to develop and become a big contributor for us on the mound." Camp has a thick, 6-foot-2, 230-pound frame. While his body is a little soft, he showed good body control and threw all his pitches for strikes. His fastball sat in the 90-92 mph range, touching 93 and he mixed in a sharp 79-81 mph curveball and an 81 mph changeup. He went right after hitters, mixed his pitches well and showed good poise on the mound. 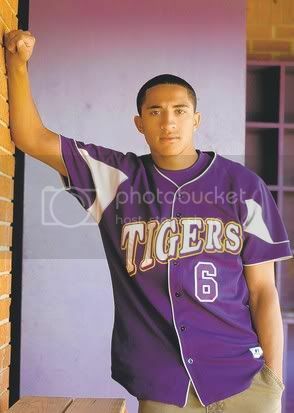 Camp is in the 2011 class and is verbally committed to Auburn. 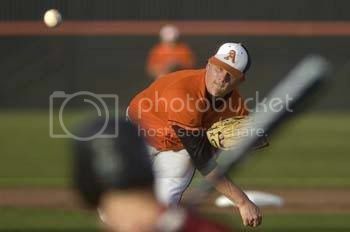 Justin is a thick bodied right hander out of Austin High School. He has a fast arm with a fastball that sits easy at 86-87 and will bump 90 occasionally. Arm strength and body are present, but he needs to learn to repeat his delivery and command his pitches better. His curve has a 11-5 tilt with nice action. With a little maturity, added mound presence and the right help polishing his mechanics he could become special. Perfect Game USA ranks him as a Potential First Rounder. His competition at Team USA will make him a hotly recruited commodity. Cochran-Gill was first-team All-State last year for the Tigers, who got to the second round of the playoffs before being swept by Beauregard. He hit .400 with seven home runs and 46 RBI as a junior last season, also going 6-2 on the mound with a 2.79 ERA and 71 strikeouts in 52 2/3 innings. Cochran-Gill, who Auburn recruited as an outfielder and pitcher, has a fastball that tops out in the 92-93 miles per hour range. “On the field, off the field, he’s a class act,” Tallassee baseball coach Adam Clayton said. “Academics are outstanding. Athletically, he’s been a huge part of the baseball and football programs. He’ll be remembered a long time. Cochran-Gill hit .400 with seven home runs and 46 RBI, also going 6-2 with a 2.79 ERA on the mound, in his junior year for the purple-and-gold Tigers. Clayton said Auburn first started looking at Cochran-Gill as a pitcher -- he's been clocked at 92-93 miles per hour and is routinely in the 89-90 range -- but now the school is looking at him as a dual-role player. A Stud in Auburn’s backyard. Lucky us. It’s a long way from El Camino CC to Auburn, AL. Garrett Cooper is hoping that journey pays off. 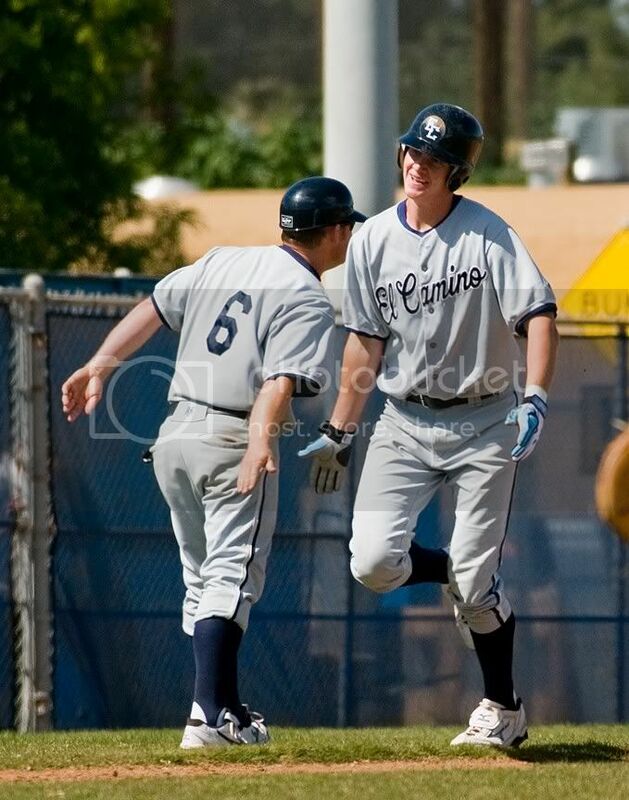 "Garrett will come to Auburn as a very polished hitter after two years in California junior college. He hit for a very good average during his freshman year and we expect him to continue to develop his power. He is a great target at first base and has also had some success on the mound." That’s just 5 guys. There’s still 11 more to go. I’ll put of the rest of the profiles later in the week. Nine Questions #9: What is success this season? Nine Questions #8: Do We Have Answers?